No Act is Too Small – one day at a time. “It’s hard to do something that is not your passion; you’ll just get tired of doing it.” Dad explains. Most of us have dreams and aspirations in life. Do you? Perhaps you would like to be a painter, a model, an architect, an engineer, a singer, or a theater actress; we have our own dreams—passion. Passion? What is passion? I describe it as something that you’d love to do all time without getting tired and fatigued. It is more than a hobby, but a desire. I personally and undeniably love to write. I even consider it as my zeal; I don’t just write from my mind, but most importantly, from my heart. I mark writing as my passion because I don’t take it as a job, but as a vital part of my being. As you can see, some people just don’t love writing as much as I do; maybe, they do write, but not as passionate as a writer or a poet does. This clearly tells us that we do have our own fervencies that possibly are not peoples’ ardors. We’ve got six more days before Christmas, and almost everyone define this season as sharing and giving love to people. We, Christians, recognize the celebration of Christmas because Jesus is the reason why behind all this. He has been given to us so that we may have complete life to spend with Him for eternity; this is because He loves us so much that we could not fathom His love and the fact that He needed to be a man and die for us to live. Loving the world is Christ’s passion. Having said these words, you being a child of God, love should be your passion too. Christ’s passion is spreading all over the world, and that lives are being changed and transformed every day. But it just doesn’t end there. His love should continue to spread through you—through us. The lessons you have learned in your trials are ways in which you can use to touch the lives of others. And this is one of the essential ways to change and inspire people for Him. By any means, yours and my passion are different. But despite having varying desires in our hearts, we can be able to reach out others to feel the love and grace through the things we are most passionate about. From writing, you could reach people from different communities in your country, or better yet, the world, and be the voice so they can be heard. With painting, whether you do abstract paintings or not, it could be a representation of God’s love. What about being a composer? You could even write songs creatively that no ordinary person could express. We can actually share the Gospel by the big or small things that we do. 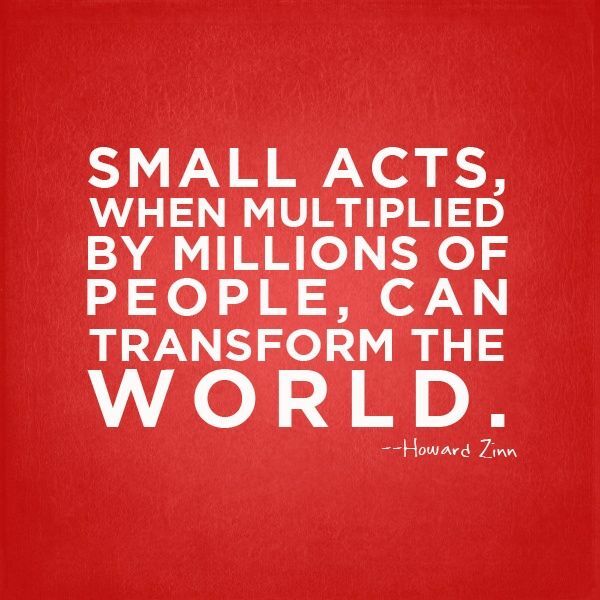 In fact, no act is too small to change a life. Share your passion for the Lord Almighty; I sure am it won’t hurt to just try.